SHOW: Sat Aug 2nd @ Oasis Texas Brewing Co. 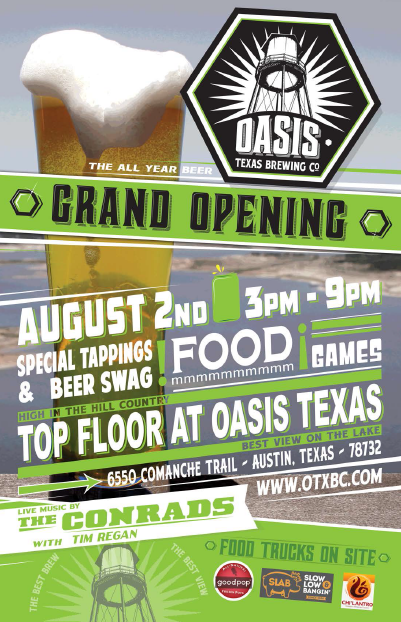 Although they did forget to put my name on the poster I will certainly be mixing it up at The Oasis, Texas Brewing Company from 7-9pm on Sat Aug 2. Beer, Food, Games, That View. It’s a big ol’ Grand Opening Celebration. I go on after The Conrads. Should be a lot of fun. Hope to see you there. RSVP here.